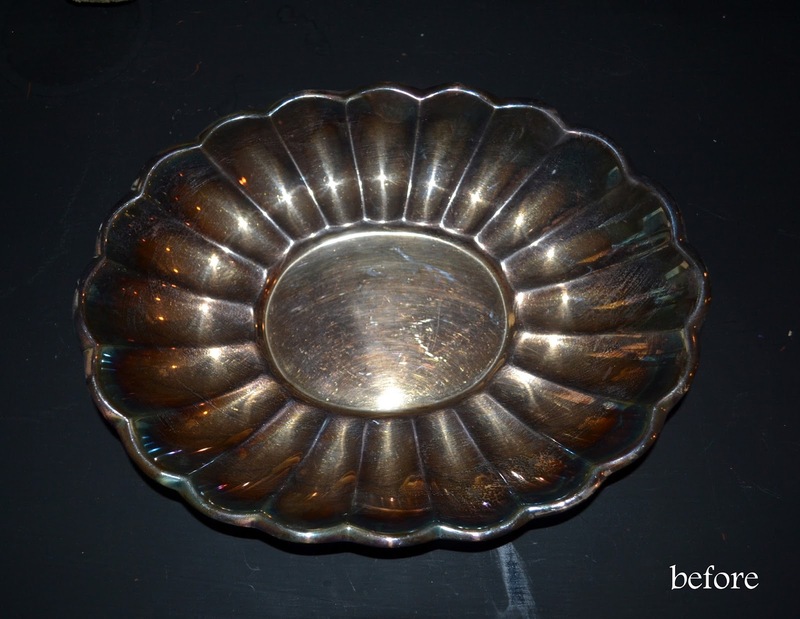 I have a hard time passing up anything silver at garage sales and thrift shops. Especially when it's only $1! 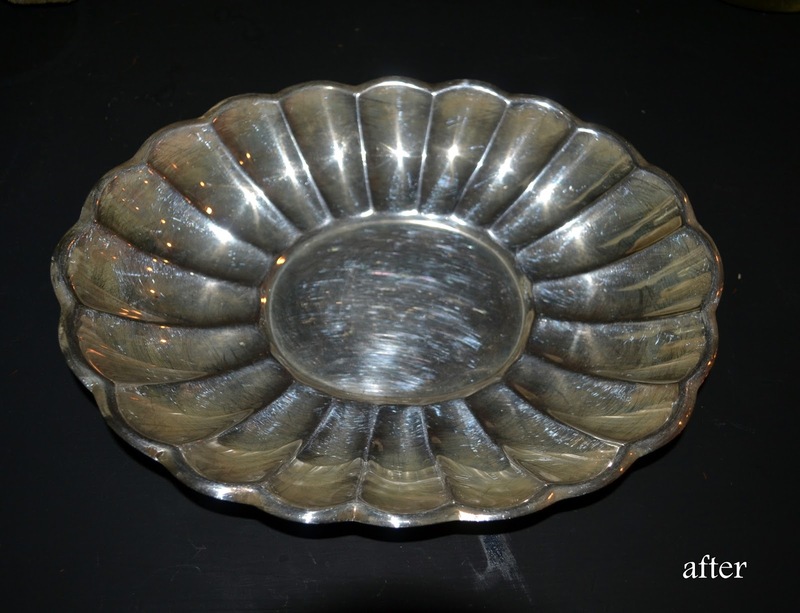 I found this medium sized dish last weekend and it was pretty tarnished. I thought I would try a trick that my husband's grandma taught me. She explained how she used aluminum foil and baking soda and salt to clean vinegar. 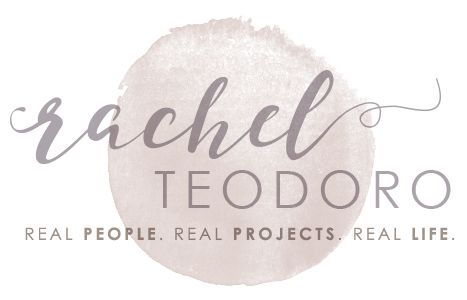 I tried it on a silver pitcher in the spring and while I had some success, I don't think I had the precise ingredients and it didn't work as well as I would like. 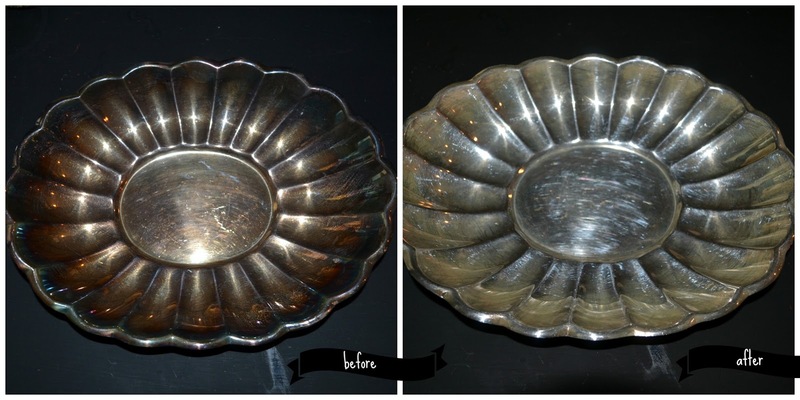 I did some research and some tinkering and found a recipe that will become your best kept silver cleaning secret. 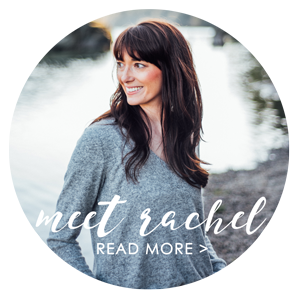 It's easy and uses ingredients you probably have on hand. Start with 6 cups of boiling water. 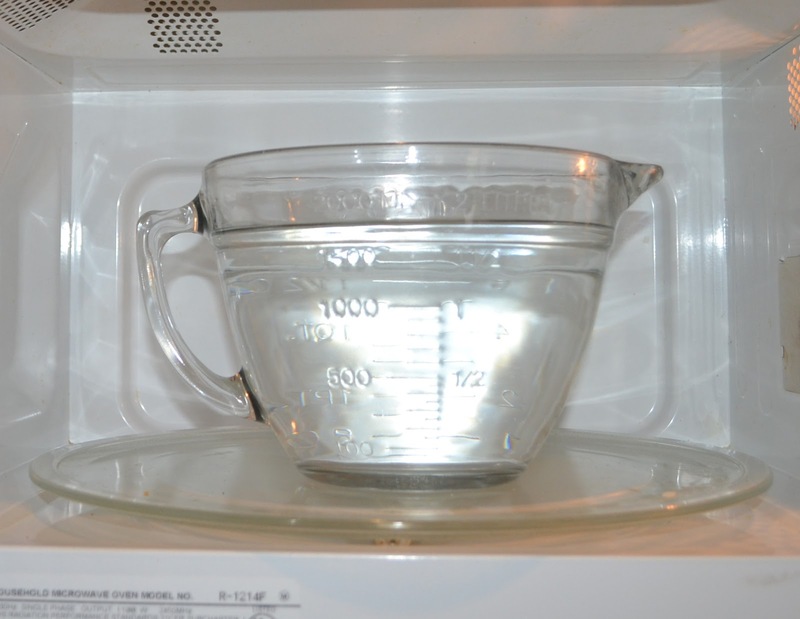 I heat my water in the microwave, so while it's warming I get my other supplies ready. 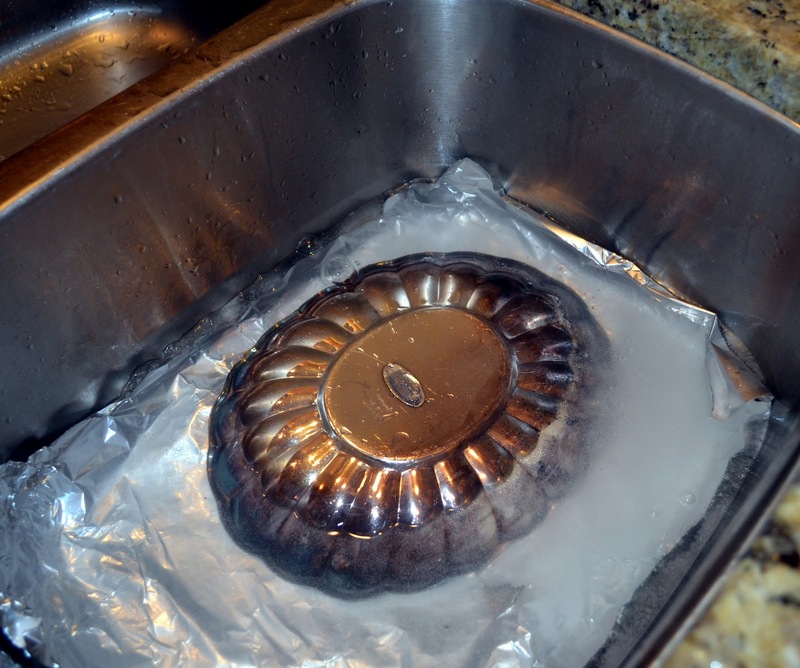 Line your sink with aluminum foil. 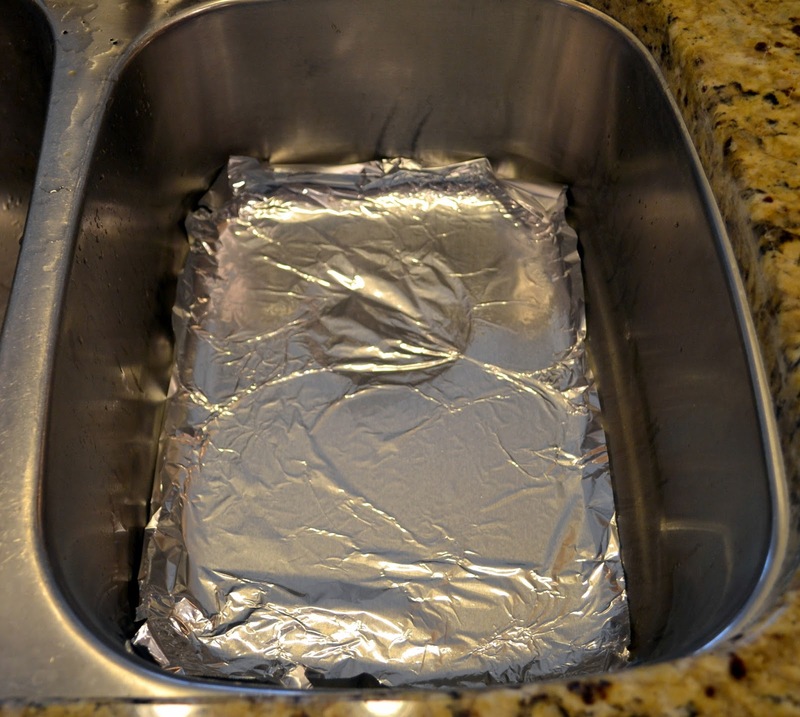 Make sure that your foil is shiny side up in your sink. Invite your kids to come help you in a little kitchen science experiment! Mix 6 T of salt and 6 T of baking soda and pour it on top of your aluminum foil. Slowly pour in 3 cups of white vinegar and watch it bubble. 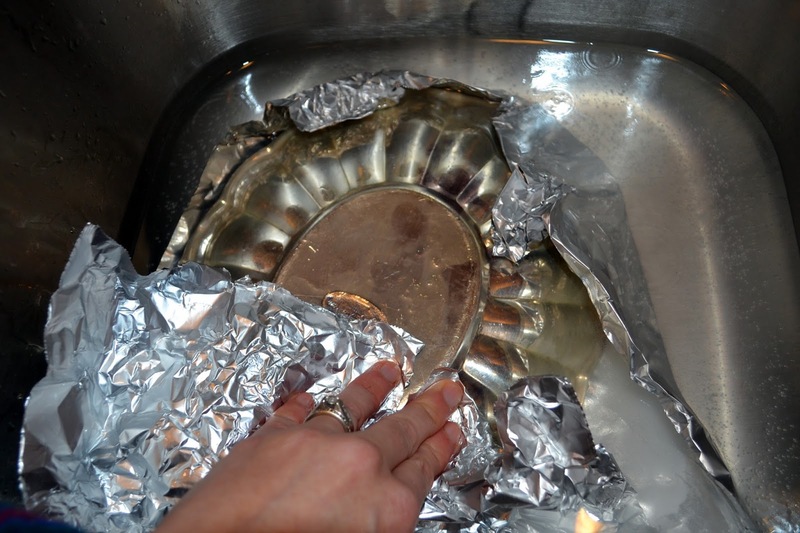 Add your boiling water and place your silver on top of your aluminum foil. 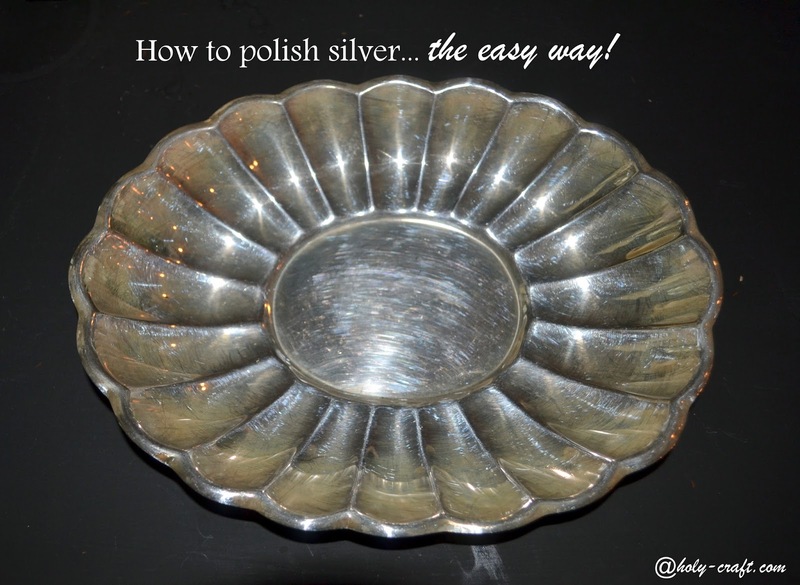 I used the aluminum foil to rub the tarnish and was amazed at how quickly it worked. It soaked for under two minutes in the sink and came out a whole new silver dish! Go try it. I promise it will feel more like fun and less like work! Ahh, just in time for holiday parties!